Tata Motors is a lot of things–India’s largest car manufacturer, producer of the $2,000 car (the Nano), and designer of the world’s cheapest high-rise apartments. Now it appears that Tata can add another title to its ever-growing list: mainstream manufacturer of electric vehicles. 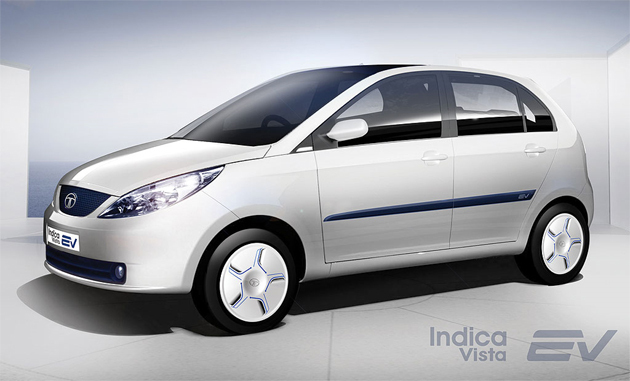 Edmunds reports that Tata is planning to launch two electric vehicles in Europe by March of 2011. The vehicles, set to launch first in the U.K. and Scandinavia, will reportedly include a variation of the Indica Electric as well as the Ace commercial mini-truck. The lithium-ion battery-equipped vehicles boast ranges of 120 miles and 110 miles per charge, respectively. We have yet to hear back from Tata regarding pricing for the cars, but we’re guessing they’ll be significantly more expensive than the famed Nano (although Tata also plans on eventually introducing an electric Nano in Europe). Tata’s native India will have to wait a while before getting any electric vehicles from the company; a lack of government funding for a charging infrastructure will likely hamper any EV efforts for a long time to come. But even U.K. and Scandinavia residents shouldn’t get too excited–Tata originally planned to launch the Indica Electric in 2009. So while we’re hopeful that the EV’s will arrive on time, we’re not placing any bets.